This year has been amazing, and we want to thank all our customers who have helped to make 2015 so great. The shop has been through many changes over the last few years and the patience of our customers is appreciated more than you will ever know. We have come a long way and more changes are still to come over the next few years. This year we sold our HWY 21 location and moved! This move is a transitional move with the future plans of building our dream shop at home. We are still a couple of years away from that, as we have to get many ducks in a row before that can happen. Until then, our plan is to focus on the quality of our work and finding better ways to serve our customers. The demand for our custom work, especially the belts, is overwhelming and we couldn’t be more excited about that! We are currently completely booked on the custom work for the rest of the year and I’m working on better ways of handling the workload. But as with anything else, we want to maintain a high level of quality over a high level of quantity. So with that being said, we thank you so much for your patience as we work through our list. We are developing a new side of our business as well for 2016. This side of the business is devoted to teaching and developing resources for those interested in getting into the leather industry. We have already put into place some small portions of this into the website. In 2016 we will be focusing more of our time developing these resources to expand that portion of the business. We are planning on in-house and online course work and workshops. As we grow this side of the business some time will be taken away from building our products, but we will do our best to slim the list down some before 2016. We will be working hard for the rest of this year to complete as much of the current list as possible. We will still continue to take custom orders as well as our saddle orders, but we will be focusing a certain amount of time to this new and exciting part of our business in 2016. My hopes with the educating side of my business, is to help guide those wanting to do what we do everyday and hopefully do it better than we do. The more artist we can help achieve their goals, the more the industry will grow and develop. 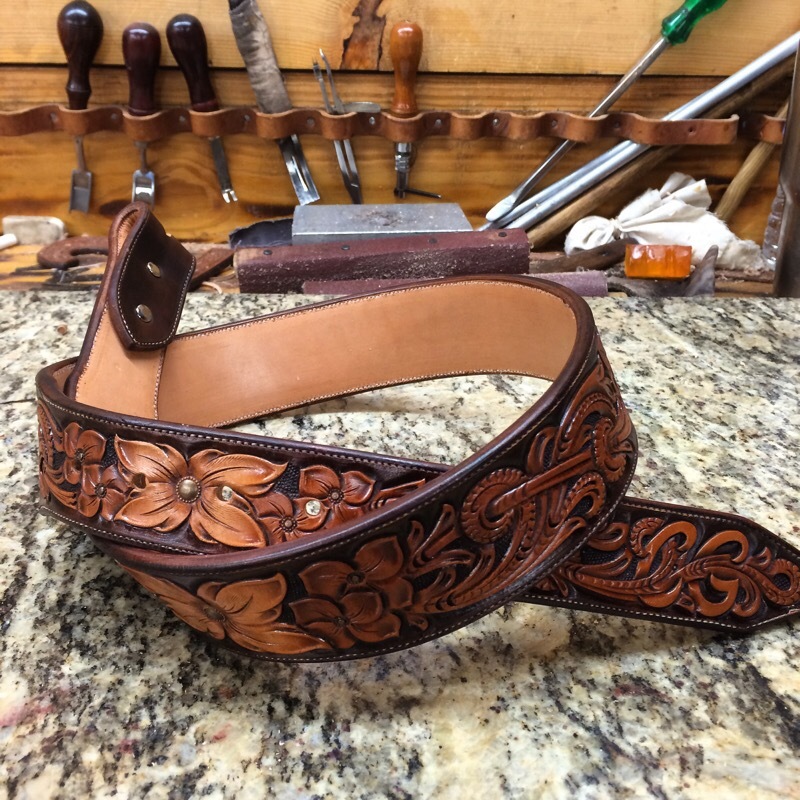 Providing more options for the demand from those who love custom leatherwork.